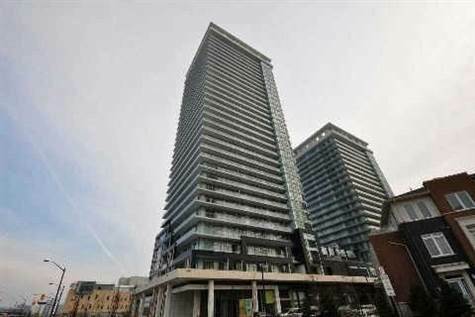 Toronto Real Estate Blog - GTA News : Superb 2 Bedroom Apartment on Burnhamthrope For Sale !! South West Facing With Two Balconies! • 2 bath, 2 bdrm apartment - MLS® $429,900 - Limelight Condos! Hurontario/Burnhamthorpe, Mississauga - Superb Unit With The Best Layout In Mississauga's Limelight Condos! This South West Facing Suite Has 2 Balconies With Walkouts From Both Bedrooms! WOW! The Two Bedroom And Two Full Bath Open Concept Design Unit Boasts Floor To Ceiling Windows Maximizing All The Natural Light Provided By The South West View! Modern Kitchen With Stainless Steel Appliances, Granite Counters, And Breakfast Bar! Fantastic Location Just Steps To Sheridan College, Square One Mall, YMCA, And Library! Easy Access To 401, 403 And QEW. Bonus 2 Tandem Underground Parking Spots!! Looking to Purchase a Condominium in Mississauga? Not Sure Where to Start? There are a lot of Developments - Which One is Right for You? Need Space - Looking for Top of the Line Amenities - Looking for Good Management with Low Maintenance Fees? We Are Happy To Help!